Wasn't sure if anyone wanted to GA this lot or not. I'll give a link to anyone interested. 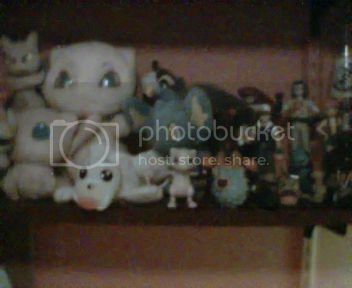 Lot contains a Moltres Zukan (no peg), a Psyduck Water Squirter, an Axew Boat toy launcher thing, Pencil toppers, a Nuzleaf Megablock and the rest are kids figures, Palkia is DX sized. Hello all! C: I'm new. My name is Isabella, but I go by Bella. I'm a huge fan of Pokemon, ever since I don't even know when. 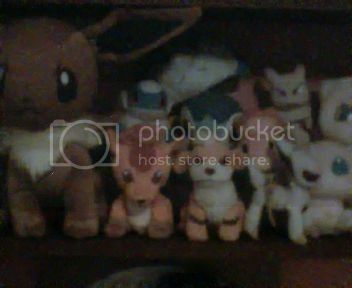 I just recently got into the collecting of Pokemon plushes this year! Just for a random fact, my favorite Pokemon is Houndoom. (I long to find a plush of him. Or Houndour. ._. 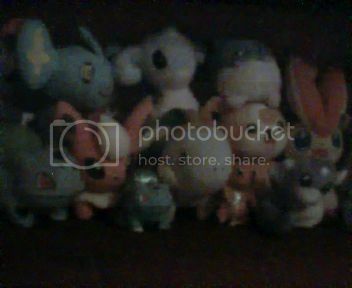 Right now I'm looking to buy a Suicune plush, so if you have one.. C: I typically stalk eBay for good deals on plushes, as well as locally on Craigslist. And now I have this place to search! Again, my apologies for the terrible quality of pictures. Ok guys, I am still awaiting payment from chihuahuaowner daskryuu and scarsofsunlight for the Superfast MPC GA! I would also like to ask if anyone has this Gengar kid? It is the LAST Gengar kid I need! Today I was thinking about zukans. My collection has grown quite a lot since I joined here. I was curios how many there were out there so i went to the Bulbapedia and Zukan Ranger and noticed they are missing some. This made me think more. How many zukans are out there that are not listed on the websites? 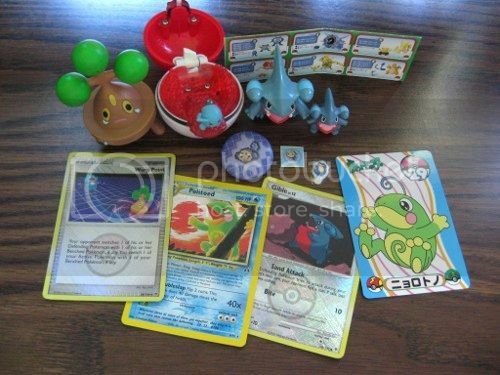 Some i can think of are the new BW movie sets, Clear Zorua/Zoroark. Some Lotto zukans, All i know are the Ho-oh, Lugia and Wailord. Were there more? Son, what special edition or new/rare zukans are there out there? E.g: the Blockbuster 1/30 and 1/80 scales, Magazine releases, etc. Hi guys, Im still lurking, but Im reallly REALLY after some things. 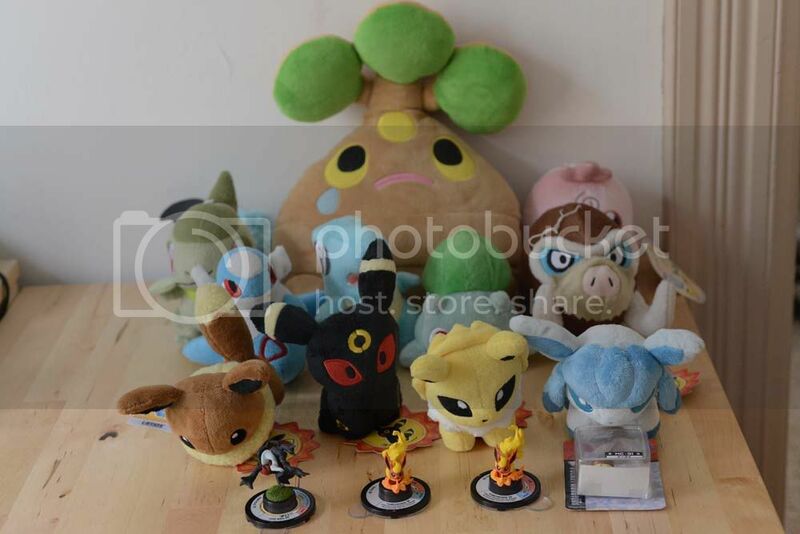 Im after a few Blitzles too - the Tomy plush, the pokedoll and I think its a mascot plush? 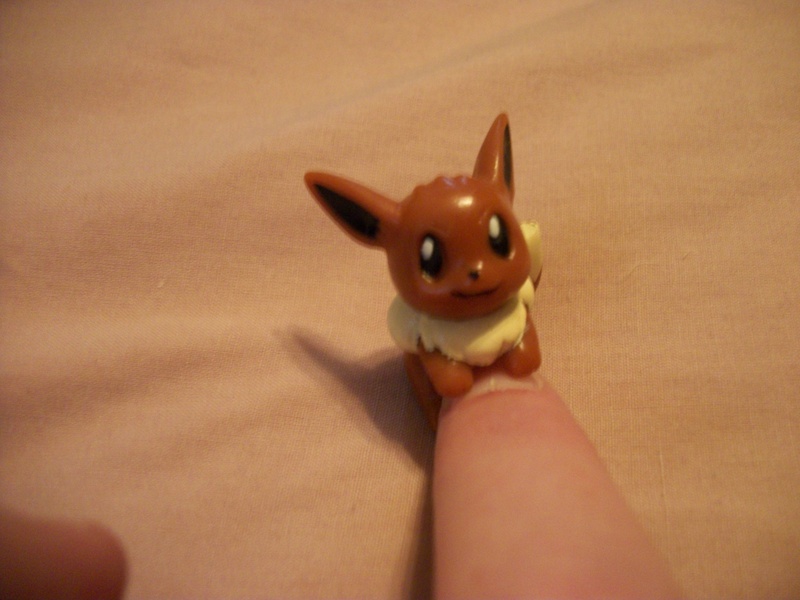 the tiny chibi one thats hard to find. If anyone can point me towards them that would be great. finally two Rapidash things just so my collections are complete with my team - Rapidash TOMY figure and the new charms, ponyta included for the charms though. 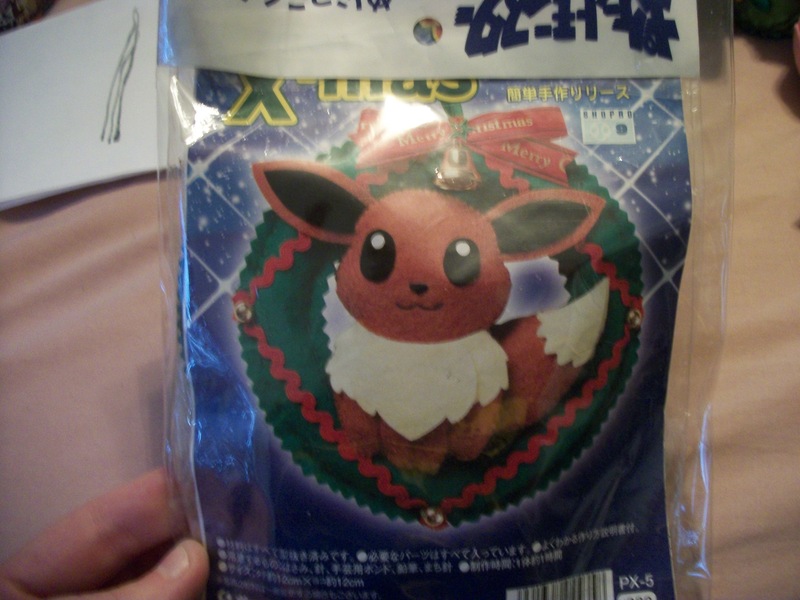 I will have a Shinx and posters lot going on eBay soon, so look out for that. Also is anyone interested in Custom artwork? http://jesslyra.livejournal.com/56693.html These are pretty big and they look great! There are many goods coming up for sale in July, and I know I will be asked to do lots of holds on things until it has all come out at the very end of the month. However, due to space restrictions, I will need to send certain things at certain times. Here is the lowdown. PLEASE READ CAREFULLY IF YOU ARE ORDERING POKEMON MATE ITEMS! Any questions about "can I get a hold on this" will simply be directed to this post. Please comment with any further questions. 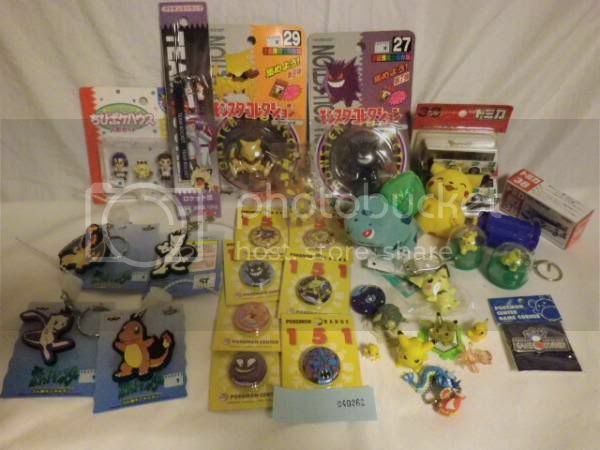 For non-Pokemate customers, Movie goods/July 14th items will all be hitting Sunyshore next week! I can combine this week's charm orders with those items so just include a note if you want a hold. I can hold charms for an extremely long time, as they are so small, and there is only 4 sets as opposed to 400. Just mention in your order note if you want to hold them to combine with upcoming goods, Ichiban Kuji reserves, or other things. If you don't include a note they'll be shipped quite fast! I have a few other good deals below. Finally, a collection update. I would have included this with my other blackies, but it got a bit delayed in the mail! So here is BLACK KYUREM: THE ZUKAN!! Up next, Blackie the Zukan in Overdrive form! Subway Master "Partners" prototype figures unveiled at WHF. Thank you AAPF for finding the image and waiting in line there. 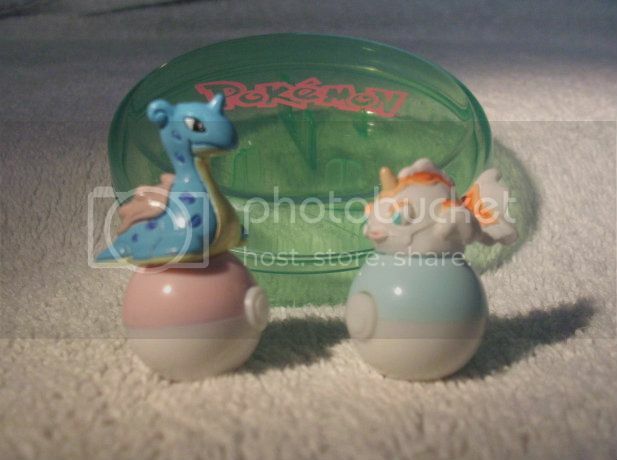 Big Sucky and Candleface confirmed for their Pokemon partners!!!!!!!!!!!! 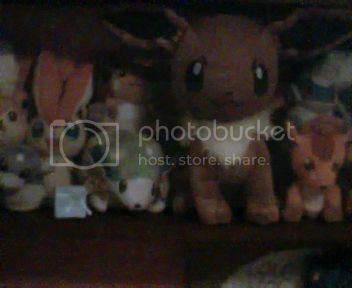 I'm in need of some money lately, so I'm getting rid of my remaining two Flareon TFGs as well as some Pokedolls. 3 more mcdonalds cards needed! Final GA Payment for GA of Goodies! *Poprock_Grey: I've included the stickers in your package like you wanted =0w0= They are very cute! If you need a clearer picture of them, let me know! If anyone has any questions or concerns, please ask me here =0w0= Any payments I haven't paid yet, will be sent later this evening. A couple packages arrived today! I'm excited that my small collection is growing! Also I'm also not sure if I want to collect canvas plush, even though they are cute! Can you guess who it is?? See who it under the cut! A few gets & my first sales! I knew hoarding boxes would come in handy some day hurr hurr. Please let me know if you would like to add anything :3 I'll be taking everything to the post office later tonight. Here's your super friendly reminder that my auctions for these beautiful plush are ending in a little over 24 hours! Everybody is mint with tags and ready to go home with you! Click on their picture to be transported to the original post and don't miss your chance to cuddle with these cuties! Auctions officially end on July 1st at 10pm EST. I've also lowered the prices on some of the unsold items in their sales post they're part of, so be sure to check out what's available while you're there! My sales have updated again! Big update! I have not 1, not 2, but 3 Jakks Flareons for straight sale! A whole lot of extra roller stamps and charms, a much sought after Flareon TFG AND the results of some collection weeding! 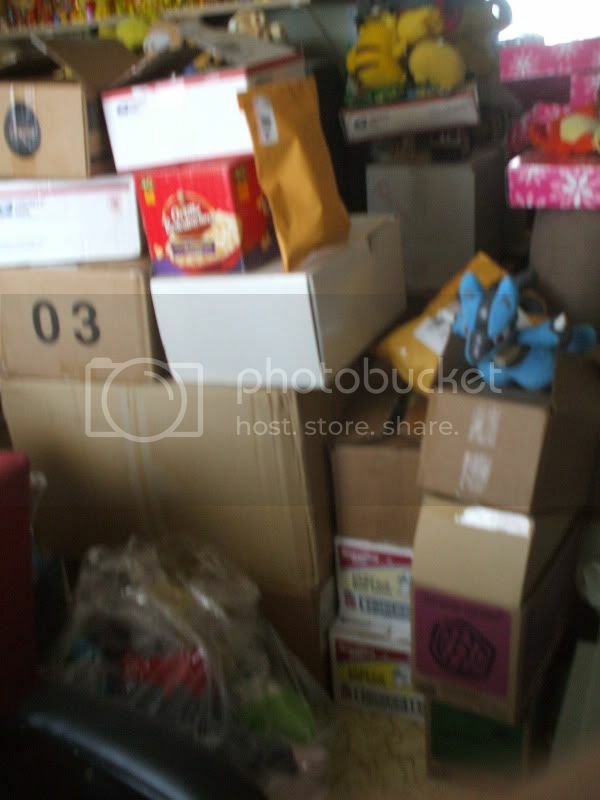 So much stuff! Exclamation points, you guys!! Guys, I see a lot of people posting about where to get these, especially since donny9's pickups were cancelled. They are available elsewhere! I have the first two sets preordered with one place - BiginJapan - and it came out to about $15 a piece. Shipped. I haven't received the first set yet though (shipped last week, can't wait aaah) so I can't recommend them yet but...just know that the waza figures are very much available elsewhere! Sometimes you just have to cast your net a little wider. I know lots of people don't want to go the deputy route but there are non-deputy options too! More usefully to y'all right now though: WAZA MUSEUM SET #1 are currently available at Play-Asia for a steal. Just $10.50 each. I kind of wish I hadn't preordered, even though I got a good price... xD Go go, before they sell out! It is $25 before shipping at Pokevault which is a bit steep for me. Is anyone looking to sell for less? Is $25 actually reasonable...? And: does anyone know of other classy pokemon lapel pins? Please post with info! ANNIVERSARY + GRAIL GET POST? I've officially been a member of this community for a whole year as of the beginning of June derp! ♥ It feels weird that it's been so long already, but at the same time it feels like it's been a lot longer. It's pretty surprising for me that I haven't wavered in my interest for this place considering I usually fall out of things pretty quickly. Just goes to show the power of Pokemon! But yes, that means this post is fairly large. But it's FULL to the brim with Politoeds so I highly recommend you stick it out! ;D ORIGINAL POKEFROG APPRECIATION TIME. Chapter 1: New mini gets! Chapter 2: A photostory unveiling my grail! Chapter 3: The story of my grail! Now, straight on to the photostory unveiling my grail. LET IT BEGIN. My First Year In Collecting comparisons, GO! Kids Group Auction x 2 - Payment 2 is DUE! sakenichi - you still owe payment #1.